The word Kasbah is often used in this portion of Africa. It refers to a walled city, even a citadel. 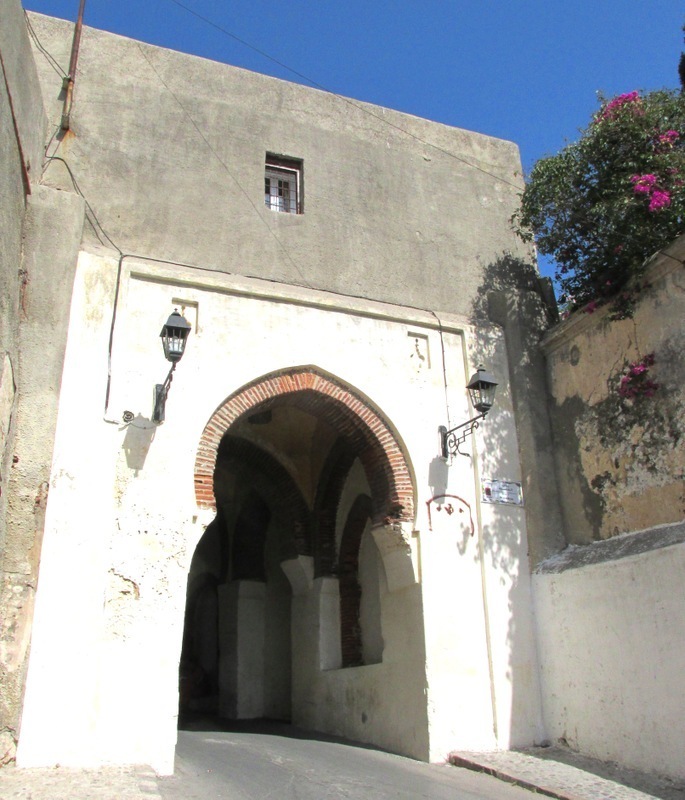 The door of the Kasbah that you see was built in the XVIII century. It was called Peterbourough Gate during the British occupation. However, this place is much older. It once was the north entry of the city. 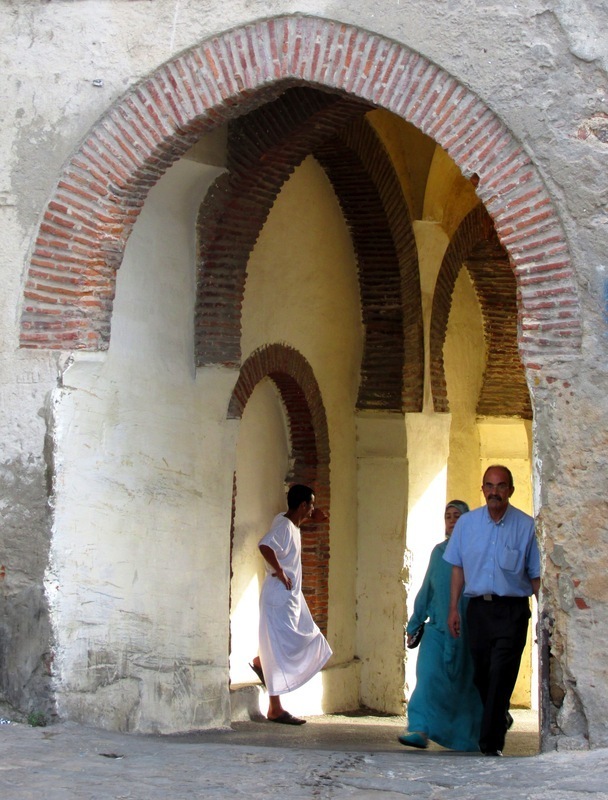 The special feature of this door, from the old city of Tingis, is having two names : from the outside of the Kasbah, it is called ''Bab Kasbah'', while on the side of Tador place it is named ''bab Mershan'' and it gives access to the neighbourhood of the same name. The door, on the ''bab Mershan'' side, associated to the neighbourhood of the same name. 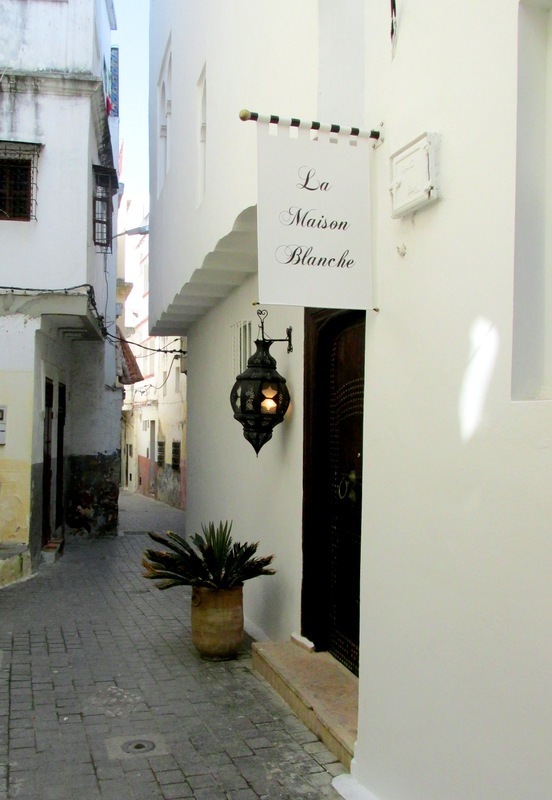 If you want to take the time to live this unique experience, ryads and charming guest houses like La maison blanche offer you pleasant stays in a warm ambiance. A little bit farther, you see the Tador place, starting point for our visit of the Kasbah. The atmosphere of this neighbourhood is very different from the one of the Medina. 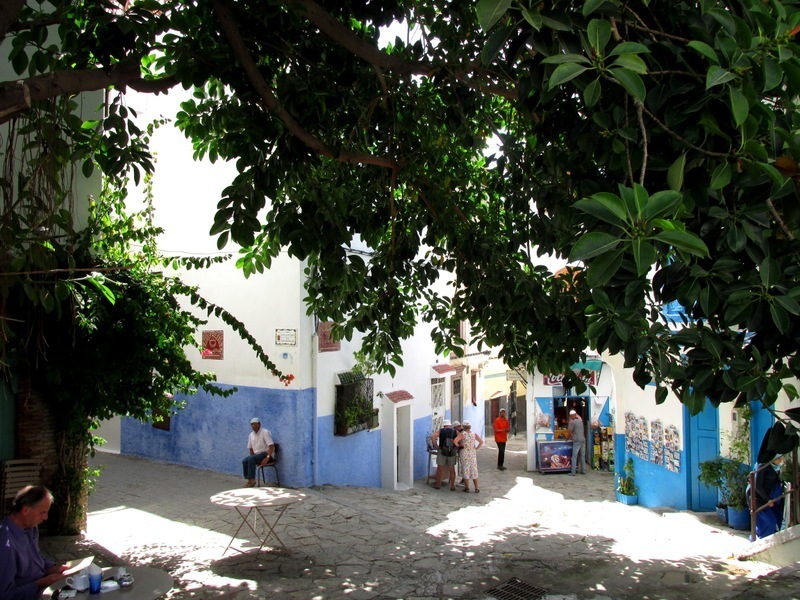 Several narrow and quiet streets go from this place and invite you to walk around the Kasbah. You will find yourself surrounded by white houses hiding a ton of secrets behind the sobriety of their facades. 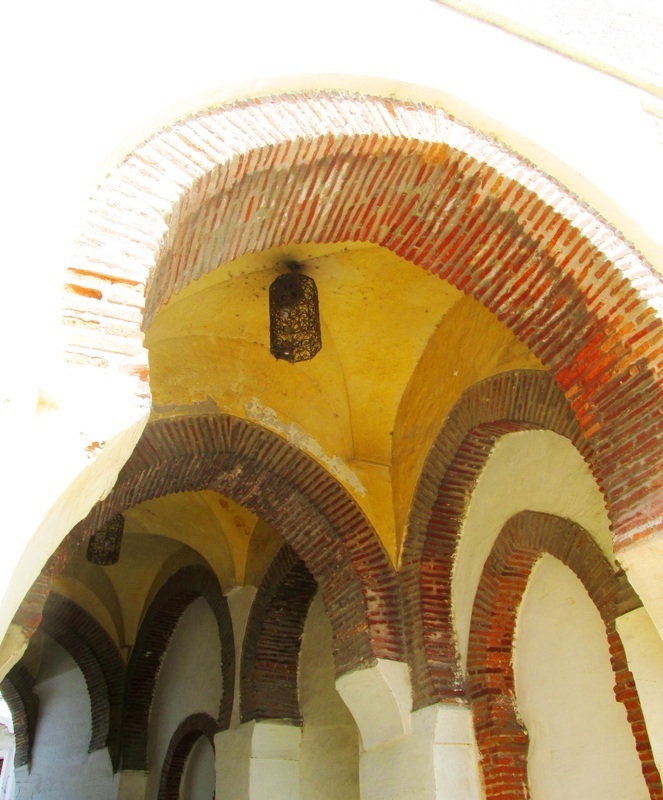 Some houses were bought by strangers who wanted to highlight their charm by arranging the inside in a Moorish style. Mosaics, patios embellished by fountains with captivating sounds, carpets and other traditional objects, of which the beauty is enhanced by the magic light of Tangier's sky. All of this can be found around the terrace and invites you to daydream.